That is a wonderful mission to be on and it’s just the kind of charity organization that Junk King Cincinnati likes to partner up with. This doesn’t mean Junk King helps New Life Furniture clear out their junk. Instead, they could be on the receiving end of some of the discarded furniture items that the professional junk hauling service picks up every day. 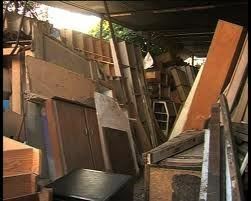 That means your old sofa, chair, mattress, table or bedroom set could be given a new life and find a new home. It’s just a matter of moving it from point “A” to point “B.” Point “A” would be your home. After making an appointment with Junk King, they’ll dispatch a capable crew of heavy lifters to your home to pick up whatever you want thrown out. Point “B” can be those charity organizations that accept furniture in need of a little repair and fix up. After they give that furniture the once over, it will be handed out to those in need. It’s true that some furniture is beyond help. That could be why you’re getting rid of it in the first place. But if it’s a matter of replacing cushions or refinishing than Junk King will make the right call and insure that those items end up at the right charities. You won’t have to worry about extra charges or which charity is open; Junk King will handle all that. Keep in mind that Junk King Cincinnati will also be able to remove a lot more than just furniture from your home or apartment. You might be in the mood to clear out your garage of unfinished projects that will never be finished. There could be all kinds of yard waste to get rid of. Just about anything you want tossed out can be piled onto the back of a Junk King truck. They’ll take it from there to where ever it should go. Are you ready to get junk free with Junk King? This entry was posted in Cincinnati Furniture Disposal, Cincinnati Junk Hauling, Furniture Donations Pickup and tagged Cincinnati Furniture Donations, Cincinnati Furniture Pickup on January 18, 2013 by Peter Mccreary. Last updated August 2, 2017 .